Is Good Wine Good Medicine? Beautiful, delicious, sumptuous wine, we pour it in a glass, swirl it, admire it, inhale it and savor it. What a lovely accompaniment to a meal. Celebrated for thousands of years, it is like a mysterious fluid jewel, held in a glass. At Salty’s we are passionate about wine and the beautiful way it complements our food. Our chefs and wine gurus work together to come up with combinations that are sure to please. But there is more to wine than the pleasure component so how do health and wine work together? Wine was the first documented medicine made by man before 2000 BC in Egypt. Over the last decade there has been much research done on the benefits of moderate wine drinking. The results are proving that the antioxidants in wine called flavonoids can actually help lower high-blood pressure, lower blood clotting levels and decrease the incidence of heart attacks. Coronary heart disease risk is decreased because wine helps reduce LDL “bad cholesterol” and increase HDL “good cholesterol.” The antioxidant resveratrol has even been found to have an inhibiting effect on cancer tumor growth. A greater amount of flavonoids can be found in red wines as their origin is from the skin of the grape. They are found in white wines as well but not in the same quantities. They are also present in grape juice, which contains no alcohol. Remember that all of these studies only recommend moderate wine consumption for those whose health allows it. 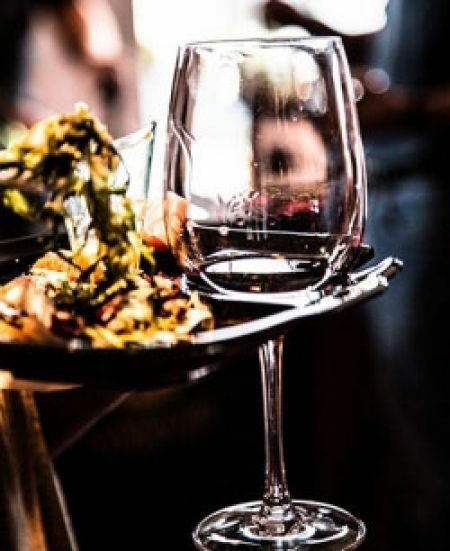 Now to the wine, “Apart from the obvious benefits on cardiovascular health, there is the pleasure component that comes from the pairings of food and wine,” says Adam Drewnowski, Dean of Nutrition at the University of Washington. Pairings create delicious flavor combinations and those smiling, head-nodding, savoring moments that complement our food and cap off the day. The pleasure component speaks to the recent research that has identified that wine has the capacity to help in lowering the risks associated with high blood pressure. There is the possibility that the way we pause and enjoy wine has the ability to decrease our stress. This life habit of slowly sipping a glass of wine with your food and smiling at the pleasure it brings is actually technically good for you. Pairing wine and food is an art form; at Salty’s we are happy to make suggestions for you, just ask your server. And what about the pairing of health and wine? Is it really true that good wine is good medicine? According to recent research and ancient wisdom, apparently it is so. Maybe wine is the liquid jewel, an elixir of ancient health and wisdom, held in a glass.